Stephen Smith, founding portfolio manager of the Legg Mason Brandywine Global Opportunities Bond fund and finalist for Morningstar’s 2014 Fixed-Income Fund Manager of the Year is known as a contrarian investor. In an exclusive interview on WEALTHTRACK, Smith takes on consensus views about oil prices, interest rates and global growth and shares where he and his team are finding opportunities in bonds and currencies. This week on WEALTHTRACK, in an exclusive interview, contrarian bond investor Stephen Smith explains how studying the big moves in oil and the dollar have convinced him that the world will grow faster than others expect. How it is changing his strategy in his Legg Mason Brandywine Global Opportunities fund is next on Consuelo Mack WEALTHTRACK. 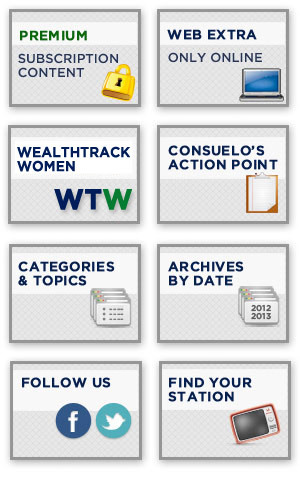 CONSUELO MACK: Hello and welcome to this edition of WEALTHTRACK, I’m Consuelo Mack. We’ve all heard the predictions: low interest rates as far as the eye can see…. European Central Bank President Mario Draghi is sticking to his 1.1 trillion euro easing program, the equivalent of about 1.2 trillion dollars worth of bond buying to keep rates low in the eurozone. His goal: to stimulate economic growth and inflation. Even the Federal Reserve, which is planning to start raising short term rates in June or September – our sources say September is more likely – has cut its interest rate forecast for the year. Instead of anticipating short term rates of over one percent by December, it is now targeting .625%. Then there is the strength of the dollar… another universal expectation is that the dollar will continue to strengthen against other major currencies. The rationale is that the U.S. economy will continue to grow, while other economies in Europe for instance will struggle. And the interest rates we are offering on our treasuries, even though meager to us, will be much more attractive than those on other top quality government debt. Not so fast, says this week’s great investor guest. He is Stephen Smith, Co-Lead Portfolio Manager of Global Fixed Income at Brandywine Global Investment Management which he joined in 1991 to build its bond business. Smith is the Co-Lead Portfolio Manager of the highly regarded Legg Mason Brandywine Global Opportunities fund which he launched in 2006 and has a history of beating the market and its Morningstar World Bond category since inception. A contrarian investor, Smith and his team invest in global bonds and currencies with an emphasis on government bonds. I began the interview by asking him where he disagreed with market expectations. We started with Europe and Mario Draghi’s decision to have the European central bank finally embark on its massive quantitative easing program, six years after the Fed. STEPHEN SMITH: The irony of this, Consuelo, is that Europe is now finally coming out of the funk, so to speak, and he is now going to start buying bonds. Now, the interesting thing about it, when we were doing QE, remember, we had a deficit of 10 percent of GDP. Stephen Smith, founding portfolio manager of the Legg Mason Brandywine Global Opportunities Bond fund and finalist for Morningstar’s 2014 Fixed-Income Fund Manager of the Year is known as a contrarian investor. Smith takes on consensus views about oil prices, interest rates and the outlook for global growth. What difference did a Jesuit education, specifically at Xavier University make to his investment career? We asked him.